A good customer service has always acted as fuel for driving every form of business which operates in a formal manner. This is because customer support process in a contact center is the basic medium that connects customer to the business. Outsourcing of this department has always remained a hot topic in the business realm due to numerous advantages connected to it. This department has been evolving ever since its inception with addition of multiple technologies like automatic call distribution (ACD), interactive voice response (IVR), cloud technology and IP phones to name a few. Before going further, let’s go through the definition of this department. A call center can be defined in general terms as a department or official area where calls are received and made in huge quantities for meeting several purposes of the firm like marketing, sales, customer support, technical help or related business activities. Cost control due to savings from overheads like agents, infrastructure and hardware etc. Better satisfaction of customers due to skilled and experienced agents. Just like any other sector, healthcare industry also aims to streamline multiple processes through implementation of a blend of technology and customer support services. Collection of fees related to treatment of patients is a vital part of every healthcare service provider. This process can be reorganized by taking support of contact center services by these healthcare companies. The hospitals and other medical centers can also take support of customer support services to address different queries and issues of the patients. This service provided by outsourcing companies combined with interactive voice response (IVR) technology allows the healthcare centers to deliver ideal satisfaction to their customers. Retailers (including e-commerce companies) are increasingly relying on outsourced call center services due to multiple facets of these solutions. Customer support is one of the prominent services of call center companies which can support the retailers across the year. These customer support representatives can help the customers to receive detailed information of a specific product, track the status of the order and register issues related to product. These issues can be handled through different mediums like chat support, social media and email support. Order taking is another important process where retailers can offer better treatment to their customers by taking support of customer care services of contact centers. Customer support service comes in handy for retail sector especially during holidays like Green Monday and Christmas season when there is acceleration in sales. One of the biggest industries in terms of money, real estate also requires support of contact center services to survive and thrive in the trade. Telemarketing services can help real estate to stay connected with prospected customers by discussing various property-related topics like availability of new properties, changes in the property prices and property-related investments to name a few. The agents can also ask the prospected clients for evaluation of their property for the best price in the market. Customer support is another dimension which can support real estate companies by giving suitable information to customers like status of the project, basic information of any property or payment related information. 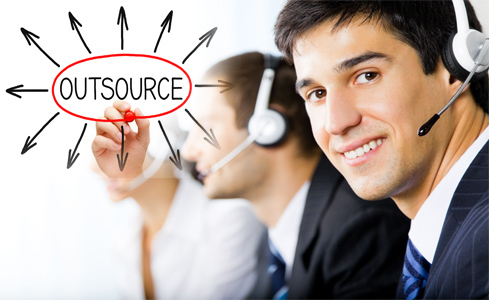 Therefore, customer support and telemarketing too are integral part of this giant industry. A good customer support from a travel agency can help the travel enthusiasts in completing their journey in a satisfied manner. The customer support has indeed satisfied various travelers across world, thereby, helping the travel agencies to raise their profits. The exponential boom in purchase of smartphones along with introduction of technologies like 4G has increased the demand of customer support department. This department helps customers in solving network related issues and provides information related to their account and new plans. Various telecom companies also use customer support services for informing the customers about the documentation related to lifeline policy. Billing related issues along with non-payment of bills are other dimensions where customer support becomes a useful tool for a telecom company. The scope of this significant department will grow even more in upcoming years with the rise of startups and technological innovations in every sector!